When you have a newborn, they usually spend quite a bit of time in either a carseat or stroller. It's always a good idea to have some sort of cover to protect them from the sun's harsh rays, insects, and excessive stimuli. I really like the one that I received for review. 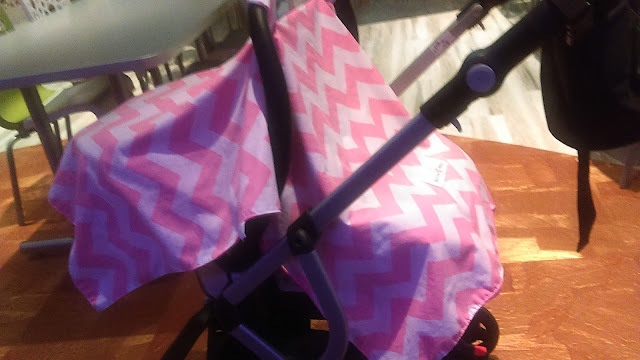 It's bright pink and matches my daughter's pink and black stroller. Life in a car seat can be tough. Just when you fall to sleep, you're exposed to blinding sunlight, flying insects, chilly breezes and airborne germs. You wouldn't want that and neither does your precious little girl. 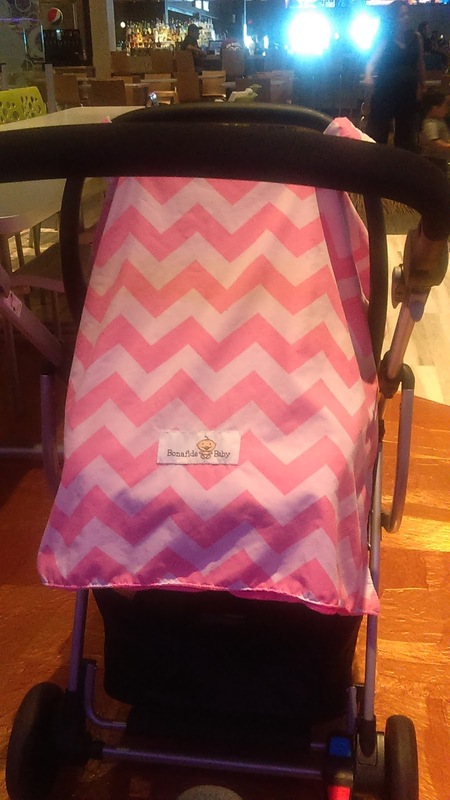 Protect her with the infant car seat cover from Bonafide Baby. It attaches to the handle of the carseat with adjustable velcro straps. Then it drapes over both the front and back of the seat. I love how much coverage it provides. This is what the other side of it looks like. 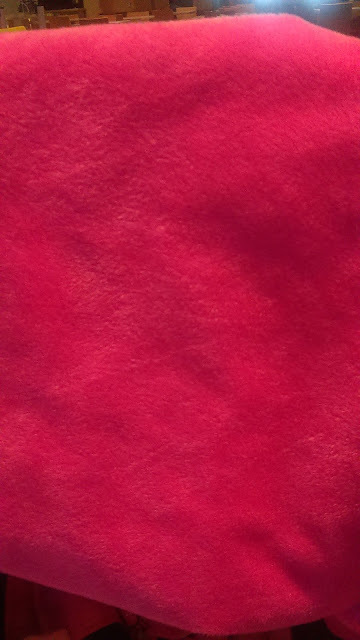 It's a really soft, comfy, plush material. This is especially good in case it's cold out and thick enough to probably also block out some of the loud noises. If it's too hot out, what I've done is simply flipped it over so that the warmer part is on the outside. This cover can also be used as a comfy baby blanket too. I'm very happy with this cover. My baby seems to sleep better and is less disturbed by her surroundings when I attach this to her seat. It's pretty and I've actually had quite a few people ask me where I got it. Another nice thing is that this comes with a big hook that you can attach to your stroller and hook your diaper bag or purse too. Very nice. Like I said it's a big hook and it's also sturdy and strong.